There is no let-up in traffic congestion. And despite all the projects announced, or even completed, the traffic is only getting worse. Motorists continue to suffer in traffic as it takes at least four hours for a round trip between Sharjah and Dubai during peak hours. 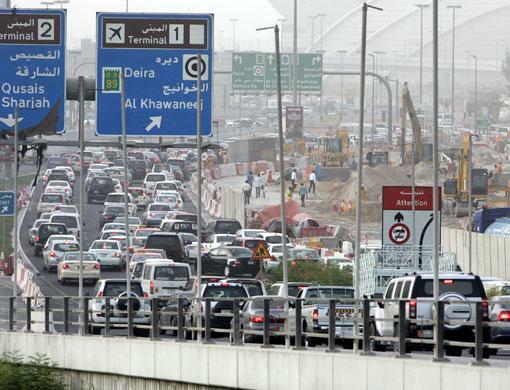 Authorities from both emirates insist that motorists use alternative routes but all of them are choked with heavy traffic. Traffic congestion is getting worse despite all the measures being taken to ensure smooth traffic flow. The expansion of roads and the new road networks have proved to be insufficient as they fail to keep pace with the rapidly increasing population and the number of vehicles. Other initiatives taken by authorities including the Salik toll system have not made any difference rather it has led to traffic snarl-ups on Salik-free roads. Traffic congestion is also taking its toll on people’s health and their performance in the workplace. According to official statistics, the number of vehicles increased by more than 100 per cent in Dubai during the last four years from 415,242 to 853,827. More than 1.2 million vehicles including those registered in other emirates and neighbouring GCC countries travel on Dubai roads every day. The average occupancy is just 1.7 person per vehicle in Dubai. Currently, only 6 per cent of the total population uses public transport. School transport constitutes around 18 per cent of peak hour traffic. Vehicles in Dubai take about 3.2 million trips a day, which is expected to increase to 14.1 million trips a day by 2020. It has become difficult to get out of Sharjah during morning peak hours and it is equally frustrating to enter Sharjah because of the inadequacy of the road network to cope with the heavy flow. 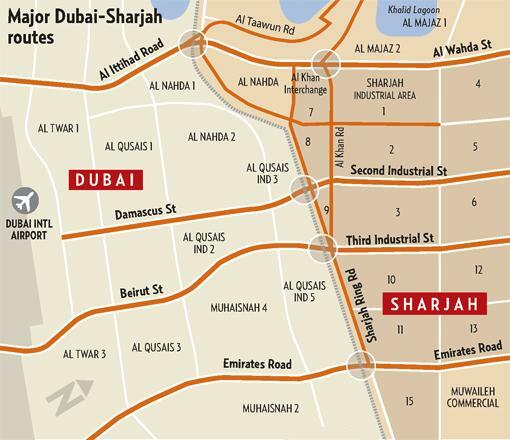 The traffic situation within Dubai and Sharjah emirates has also worsened. Crossings such as Al Maktoum Bridge and Al Shindagha Tunnel remain choked most of the time. 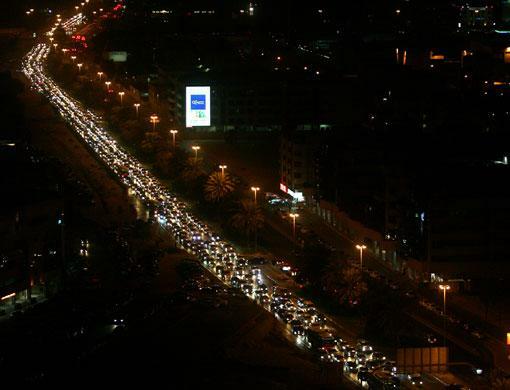 Gulf News’ photographers monitored all the major roads linking Dubai and Sharjah only to find there is no escape from the traffic congestion.